"In all that I do I will try to remember the maxim that the final value society places on our lives will be measured by the extent to which we have served others." 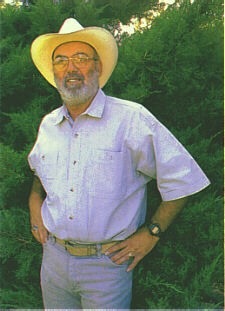 Richard "Doc" Rioux wrote a weekly column for The Signal (Santa Clarita Valley, California) from 1993 to 1997. A leader in his community of Stevenson Ranch (Los Angeles County), Founder of Old Town Newhall, USA, Executive Director of two of the nation's largest alcohol and drug treatment facitlities at Acton and Warm Springs, and an acclaimed author and photographer, Dr. Rioux died on April 28, 1997 at the age of 53. He is survived by his wife Suzanne and their four children, Regina, Stephanie, Natasha and Jeremy, all of whom he loved very much. Donations may always be made in Dr. Rioux's name to one of his favorite charities, the Samuel Dixon Family Health Center, 30257 San Martinez Rd., Val Verde, CA 91350. Contact rioux@scvleon.com for information about this site. Richard "Doc" Rioux's columns in The Signal are proprietary in nature and may not be reproduced in whole or in part without the express permission of the newspaper.